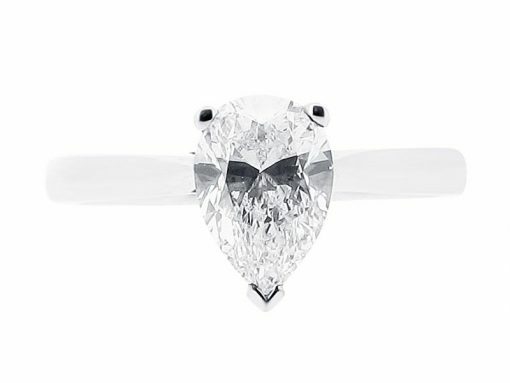 Combining the best attributes of the marquise and round shape diamond, this pear shaped diamond solitaire is simply exquisite. Held within 3 claws in a Cathedral setting, this stunning diamond is offset by a simple plain band. 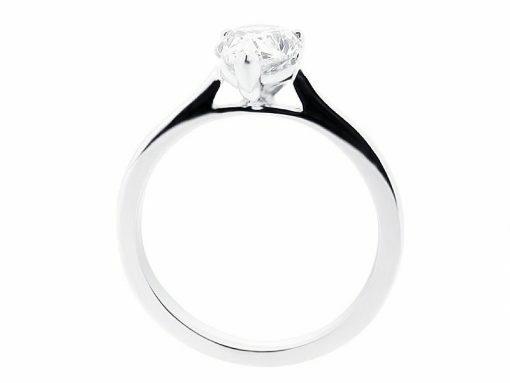 This style can easily be made in the metal of your choice and could also feature diamond set shoulders. This ring can be made with carat weights from 0.40ct to 2.00ct. Higher carat weights can be obtained upon request. At Voltaire Diamonds, we specialise in giving you expert advice in a relaxed environment at our offices just off Grafton Street. Please contact us to make an appointment so that we can assist you in creating the perfect ring for you.